The Justice Department filed a motion on Wednesday asking the DC Circuit Court of Appeals to expedite its appeal of the AT&T-Time Warner decision, and provided a preview of how it plans to fight its case. The government wants the oral arguments to start soon after the October 18 deadline for the briefs. The Justice Department also provided a preview of its argument for the appeal, saying that Judge Richard Leon, who ruled decisively in AT&T's favor in June, rejected "fundamental economic principles." 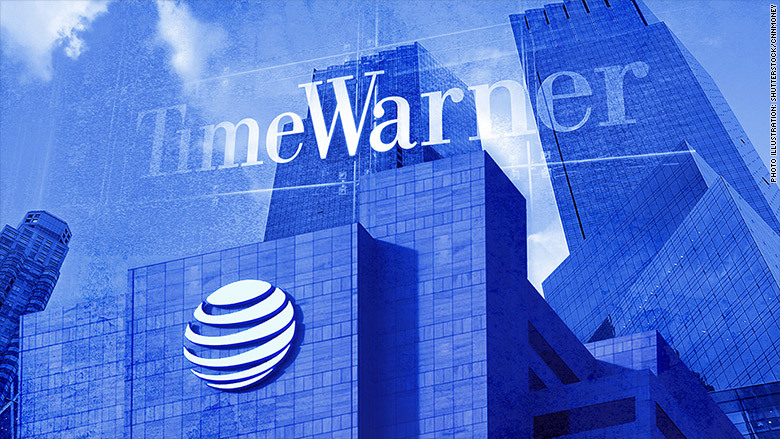 The Justice Department has argued that by owning Time Warner, which has since been renamed WarnerMedia, AT&T would have "both the incentive and the ability to raise its rivals' costs and stifle growth of innovative, next-generation entrants that offer attractive alternatives to AT&T/DirecTV's legacy pay-TV model—all to the detriment of American consumers." The Justice Department argued during the trial that the newly merged company would have expanded power over its contract negotiations with competitors. The evidence presented at trial, the Justice Department says, shows that AT&T would benefit if the company threatened to "black out" Time Warner content -- pulling it from rival distributors during negotiations -- because customers would drop their current providers and switch to AT&T services like DirecTV in order to watch its content. AT&T would also get higher prices out of its competitors as a result, the Justice Department alleged. The government reiterated its concerns in Wednesday's motion and said Leon ignored basic economic principles. "The government's case is based on well-accepted and non-controversial economic principles of bargaining, but the district court effectively discarded those principles and their logical implication that the merged firm will raise prices to its rivals. In so doing, the Court committed multiple errors," the Justice Department wrote in the motion. Days after Leon approved the deal in June, AT&T and Time Warner merged into one company, but committed to hold the Turner Networks, which includes CNN, TNT, TBS and HLN among others, separate from AT&T until February 28, 2019. The Justice Department argued in its motion that if an appeal is not decided by that date, it will be much more complicated to untangle the two companies in the event the government wins on appeal. "If the appeal is not decided by then, AT&T immediately can be expected to exercise the increased bargaining leverage that it would gain from control of Turner," the government wrote. One former official with the antitrust division of Justice Department said he was "baffled" by the government's basis for the appeal. "Normally when you go on appeal, you like to have in mind some clear articulation of a legal error the court below committed," said the official, who requested anonymity to speak more freely. "Sounds to me they're saying Leon just got it wrong on the result, that the evidence was clear." "That's a real loser of an appellate argument," the former official added. "You have to show the court committed a clear error, like the court didn't assume gravity exists." Leon's written decision, however, was "pretty harsh and kind of sarcastic" and full of exclamation points, the former official said, which is unusual for a District judge. This could work in the Justice Department's favor, according to the former official. "Sometimes you could have a court of appeals decide that the judge was biased, even if you don't raise it as a bias issue," the former official said. "If you get the right panel of appellate judges that think the government got screwed here they might find a clear error on things that court did." Cornell Law professor George Hay, a former Director of Economics for the Justice Department's Antitrust Division, said he expected government lawyers to take the approach that the judge just never understood their theory because the Justice Department would otherwise lose on a fight about the facts. "What they have to argue is that [Leon] just never got their theory, never really understood the core principle they were trying to articulate," Hay said. "While there may be disagreements over how good the evidence was to support the theory, the fundamental problem was he didn't really get the theory." Some in the antitrust community have said that there is a real need for clarity from the courts on antitrust law, especially when it comes to vertical mergers where a distributor owns the company that makes the product they distribute, and the appeals process could help shake that out. The last time the Supreme Court heard a vertical integration case was in 1972. "If the court of appeals takes it they may clarify how the law should be applied in these very rare cases where there's a potential problem and that would be useful for the court to provide some guidance," Hay said. "But it has to be limited in its applicability." -- CNN's Jessica Schneider contributed to this report.